Should Mark Zuckerberg, the social media visionary but neophyte corporate manager, step aside as CEO to let a more seasoned executive run the multibillion-dollar company? 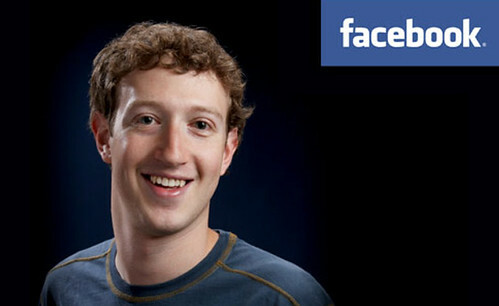 Doubts about the Facebook founder intensified Thursday as the stock closed below $20 for the first time. The shares, which slipped to $19.87, have shed nearly half their value since Facebook’s disastrous initial public offering three months ago. The “boy genius” phenomenon isn’t new, nor are the related stresses it can exert on the company. Let me offer up a brief case study on a company founded in the late 1990s by two young guys who’d been best friends in a prominent northeastern institute of technology. In fact, let’s just call it PNIT. The Internet bubble was inflating, and these two kids – let’s call them Bob and Ray – were exceedingly bright. It took them awhile to figure out exactly what they wanted to do, but the idea they finally hit on was a winner. They were talented developers and understood the technical side of building Internet commerce platforms as well as anybody. They founded a company, hired great (and insanely loyal) people, worked their asses off and before long were selling one of the premier products on the market and enjoying significant success. Significant, as in they were each worth hundreds of millions of dollars significant. The stock price exploded, and after multiple splits it was selling at over $300. The company was hiring like mad, with a planned trajectory of under a hundred employees to 2000 in two years. Those were interesting days for the thoughtful student of business, especially one who had never experienced the boy genius phenomenon, who didn’t know a lot about PNIT, and who had never been inside an enterprise that was outgrowing its expertise. The good news was that the company’s technology was simply magic – it was as good as it got then and more mature versions of it are still successful today. But…Bob and Ray had very little clue on the business side of things. They thought they did, but they didn’t. And the result was an enterprise that was as bad at the non-technical phases of business as it was good at development. Everyone was too young, too inexperienced, and in many cases, simply too unqualified on any level for the jobs they were asked to do. People who these days would be coordinators were middle managers. People who knew absolutely nothing about communications were responsible for PR. The CMO was regarded as a complete clown. These things happen when the unemployment rate dips below five percent. You might remember that in the early days of the 2000s the dot-com bubble burst. B&R had a six-month galloping head start because the company pissed off investors (basically, they did something major without consulting with their shareholders in advance). Some felt Bob and Ray were in over their heads, and this episode did nothing to dissuade people from that view. Layoffs commenced shortly thereafter. Eventually Bob and Ray left the company they had founded, passing it into the hands of leaders who knew how to run an established business, and B&R, in time, regained its footing. The aforementioned thoughtful student of business walks away from this case with some lessons in hand. First, and most importantly, the skills required to found a successful enterprise are not necessarily the skills required to run a mature enterprise. Sometimes you need a gunslinger to tame the west. Once the west is tamed, what is called for is the steady hand of an experienced mayor. This is not a negative reflection on either leader – no one is good at everything, and organizations thrive when they harness specific strengths to appropriate challenges. Bob and Ray had been exceptional at founding and growing a winning technology company. To a certain point. It’s unlikely those who replaced them could have done what Bob and Ray did. But the time came when they were no longer the right people for the jobs at that point in the company’s arc. The second lesson is that genius is a wonderful thing. Education and genius working hand in hand can change the world. But neither genius nor education is experience, and there are times when there is simply no substitute for experience. I look at my own career in these terms, in fact. I was smart growing up (although you can certainly find plenty of folks who’d argue if I called myself a genius). And I got a great education. But none of that would have served me terribly well if you’d thrown the challenges I see today at the 28 year-old me. It’s hard to quantify just how much of the value I now represent to my clients stems from the fact that I have seen things before. The first time I saw X, I might have been baffled. Now when I see X, I recognize it and probably have some ideas, borne out of previous encounters, with what works on X and what doesn’t. Mark Zuckerberg is clearly a really, really smart guy. And he went to Harvard, so at the least he spent a few years in close proximity to a great education. But the wheels are flying off his company. It’s lost nearly half its value in only three months. Mistakes have been made and we here at S&R have commented a number of times on missteps of one sort or another. I hate to engage in too much reductionism, but when the company is all yours – when you are the majority owner, the CEO, the chairman of the board, the grand high exalted poobah and whatever other official titles he might carry – when you are the absolute lone decision maker at the top, yes, the company’s failures are your failures. When the specific problems strike experts as the sorts of things that a more experienced leader would have avoided and you’re a brash 28 year-old, yes, questions will be asked. Hard questions. Billion dollar questions. Questions with no easy answers. I’m not here to tell the Facebook board or its investors how to behave. But I certainly am in a position to note that we’ve seen this dynamic before and we know how it often ends.